The bag: On my first backpacking trip, I traveled with a 60L full-zip REI backpack. For my second trip, I decided to go a little smaller and used a 44L Kelty Redwing, which is made specifically to fit women. 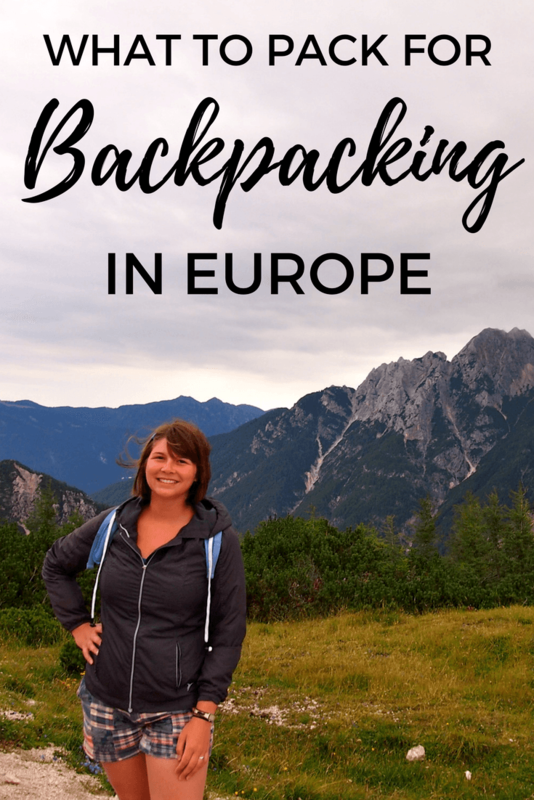 I really loved this backpack, and highly recommend it for backpacking in Europe! 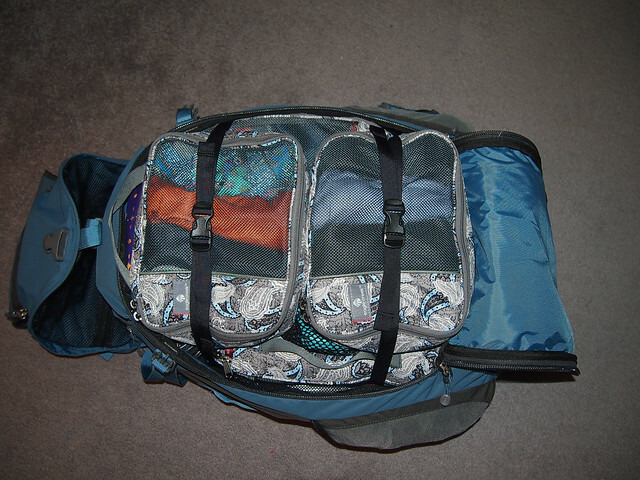 You'll see in the below photos that I'm a big fan of packing cubes; they really help to organize your bag! I went with a small backpack from Pacsafe, who make great theft-proof bags. The bag I had on these Europe backpacking trips was the Pacsafe Citysafe CS350, which is a great small bag. 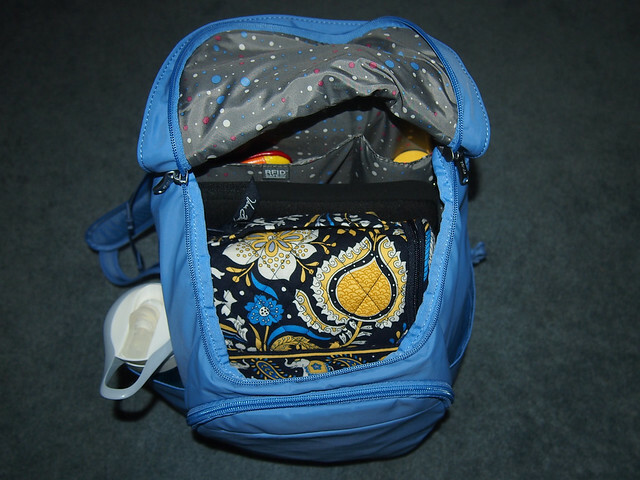 It has a slash-proof exterior and secure zipper clips. It also holds an astonishing amount for its size, yet is still comfortable to carry. Since I don't always like to use my daypack as my handbag, I almost always carry a purse with me, too. On my Europe backpacking trips, I had a bag similar to the Travelon Bucket Bag, which is a cross-body, anti-theft handbag. My Teva sandals – I'm not the kind of person who can wear flip-flops nonstop (I really only packed them to wear in hostel showers), so I was super glad to have my Teva walking sandals with me. They still let my feet breathe in hot locations like Croatia and Greece, but also gave my feet enough support for a full day of walking. A reusable water bottle – I went through a LOT of water in several destinations, and it was nice to not have to buy wasteful bottled water everywhere. Tap water is generally safe to drink in Europe, and many European cities have fountains for filling up water bottles – so there's really no excuse not to travel with one! I love my Camelbak Chute. Dresses – I would live exclusively in dresses if I could! And they're perfect for most cities in Europe – especially in the summer because they tend to be breathable! IF, however, you're worried about chafing (I'm not nearly as skinny as I was in these photos, and chub rub is REAL, people), I recommend picking up some moisture-wicking Skimmies by Jockey, which help prevent chafing. 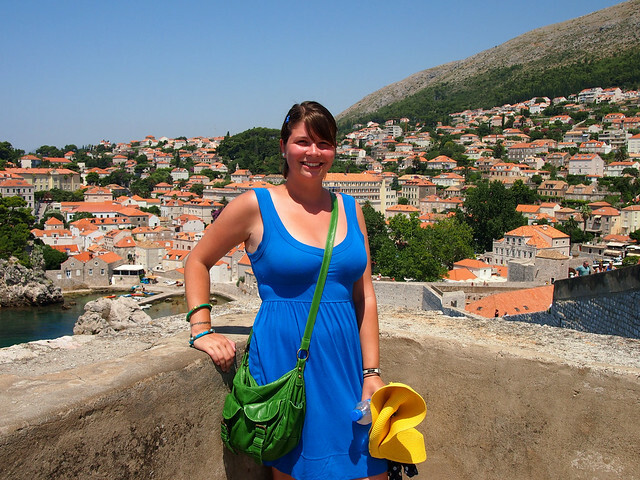 One thing I didn't pack that I should have was a sunhat – I ended up spending way too much money on one in Greece. Sunglasses and sunscreen are good, but they won't protect your scalp from burning! I like this packable sunhat. You also should definitely pick a good travel insurance policy! That way everything from lost luggage to a bad accident is covered – because you just never know! 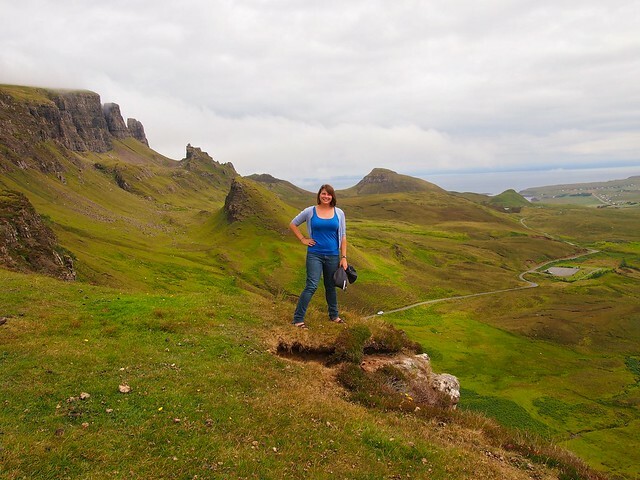 I recommend World Nomads for basic (and really affordable) travel insurance perfect for backpackers. Amanda, you are packing pro. I love the packing cubes. 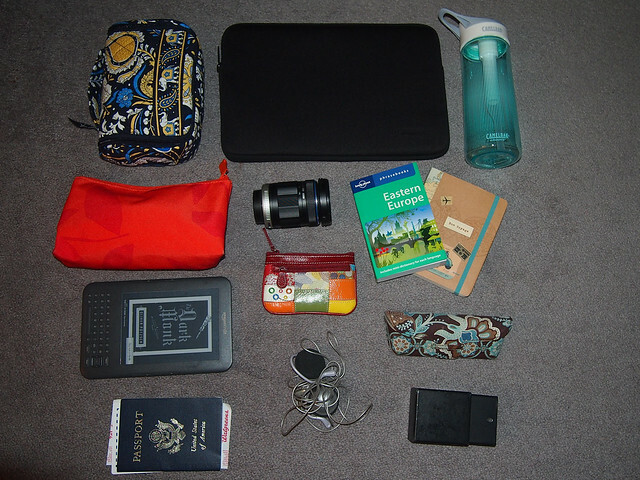 I have to buy some to organize better my suitcase (I have a carry-on size suitcase that can be converted to a backpack). I like and approve what you are taking. I always take a pair of jeans and a light sweater (even to Central America!!). Last time I visited Europe (in Juy), it was chilly in London and Paris and I had only summer clothes. Ohh, and we have the same Tevas and flip-flops. your packing in cubes is great! and the business cards for new contacts is a great idea! I would ahve to agree with the hairdryer thing – on the other hand you are already out on your adventure so enjoy! 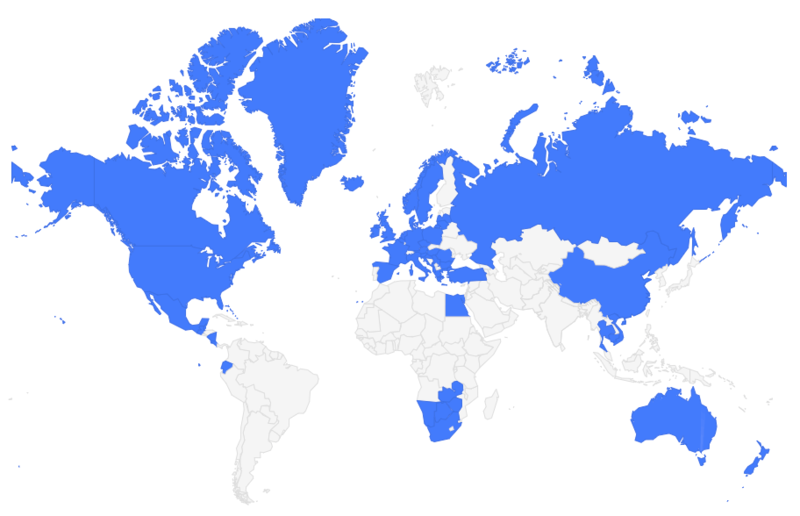 As for packing cubes in Australia… hmmm. 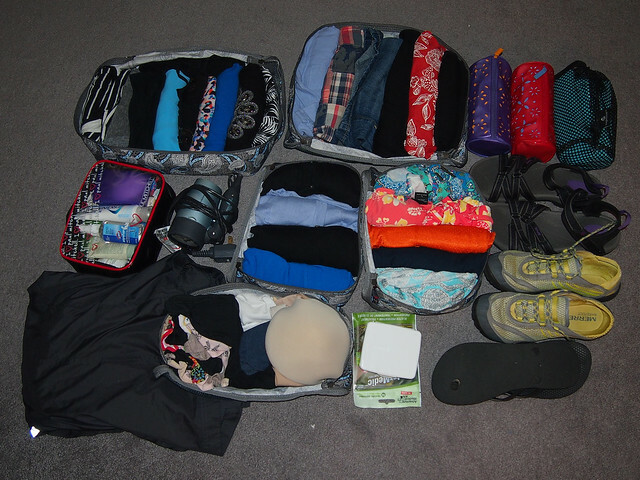 I remember reading a post written by an Aussie about packing cubes, and she got hers here: http://www.kathmandu.com.au/packs-and-bags/packing-solutions/cells.html#!offset=0&p=1. I think you can order online, or if there’s a Kathmandu store in your city, I would suggest popping in to see if they have any in stock!